Family, Stamping and FOOD! : Homeschool Wrap Up: Letter "D"
Homeschool Wrap Up: Letter "D"
This week we learned about the letter "D". 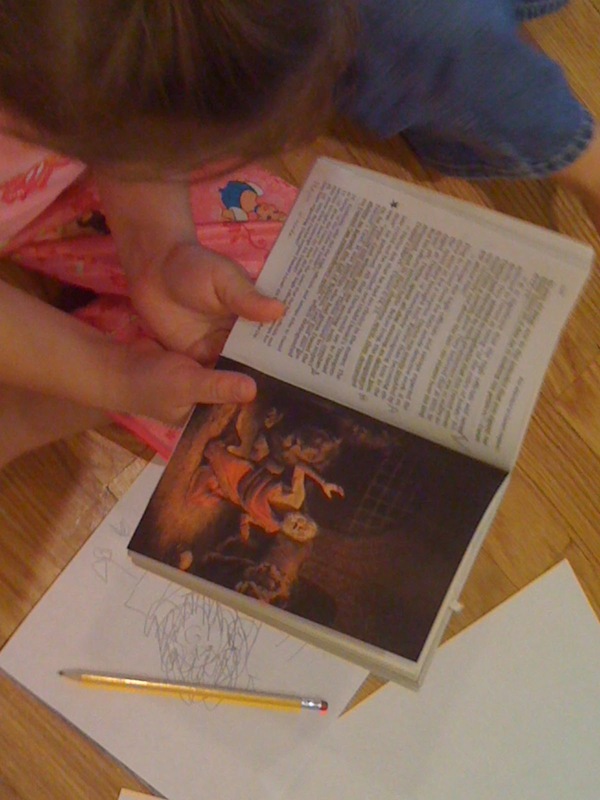 Children ages 2 and 4 are fun to teach. We do more hands on learning and I love that. My 2 year old is still mastering motor skills, so most of these projects were a little out of his league, but he tried his best. We learned about Daniel and the Lion's Pit; how God sent an angel to protect him; how King Darius favored Daniel and that's what spurned the actions of the jealous men. We colored pictures of Daniel in the lion's pit. 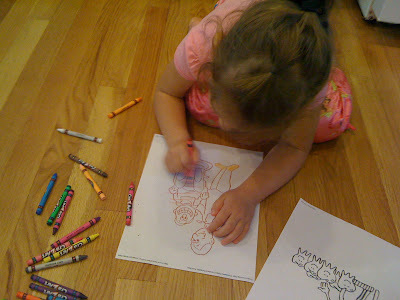 We drew pictures of Daniel, the angel and the lions. We recounted the story each day. 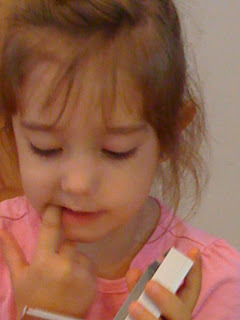 By Wednesday, Sissy could tell me most of the story from memory. 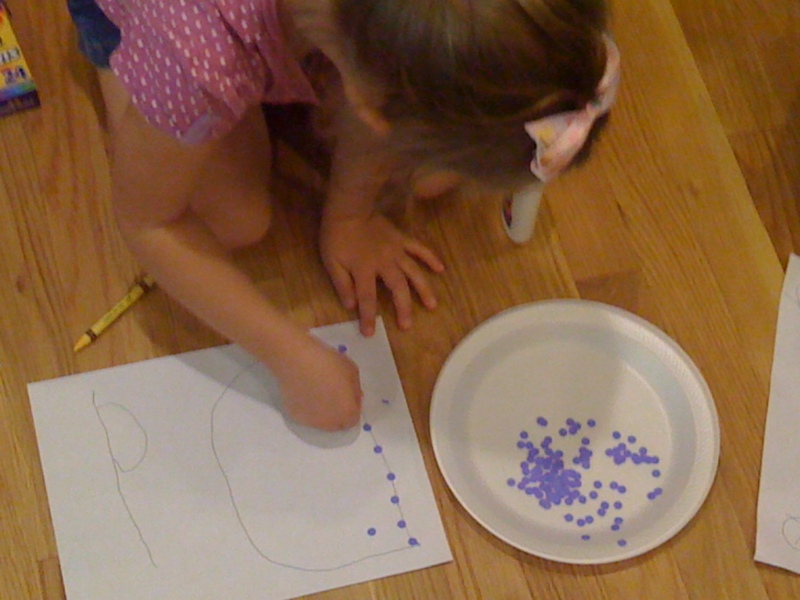 We glued purple dots to a hand-drawn "D". Boo-Boo did pretty good with this one. He tried to stay on the lines of the "D". We learned about the job of a Dentist. How they clean our teeth. 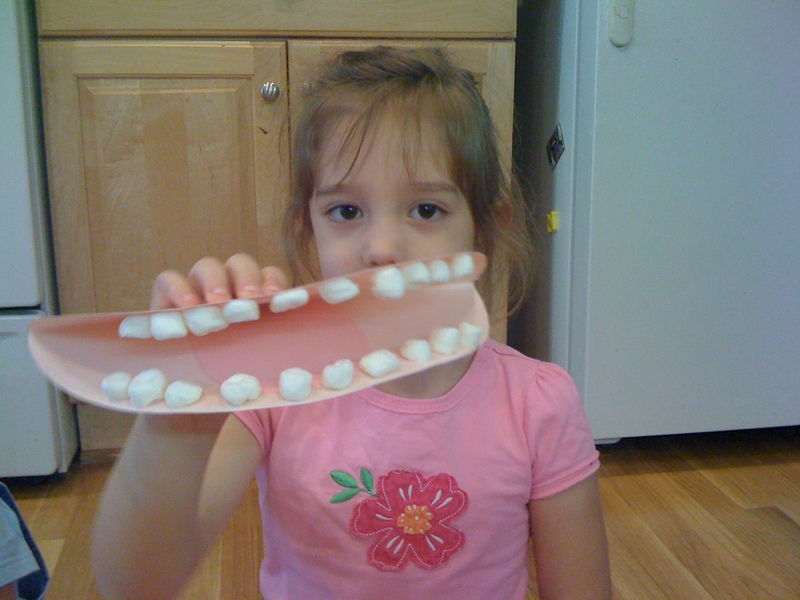 What we can do to care for our teeth. 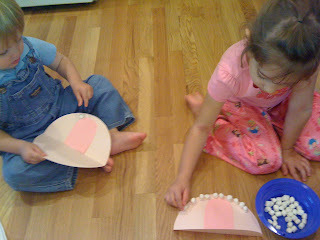 Then we colored pictures of a Dentist; a toothbrush, tooth paste and teeth; and we did a tooth project. That was really fun. Boo-Boo got a little frustrated with me. 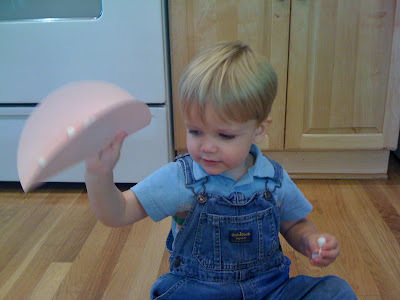 He was trying to explain something to me...he wanted to glue the marshmallows to the tongue instead of the mouth. I think he ate more marshmallows than gluing them to the mouth! So funny! Sissy had to count her teeth and then glue that number of marshmallows into the precut mouth. 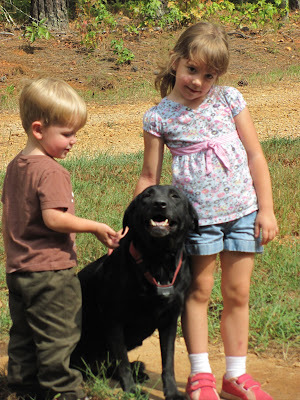 We visited Nana's for our Nature Walk and visited with her dogs Daisy and Gabby. 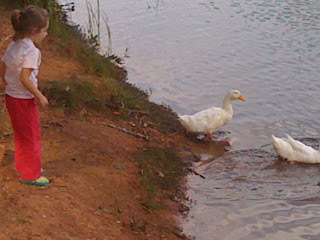 Then we drove over to Duncan Park and fed the ducks some stale pita bread. We learned more about ducks on Friday. 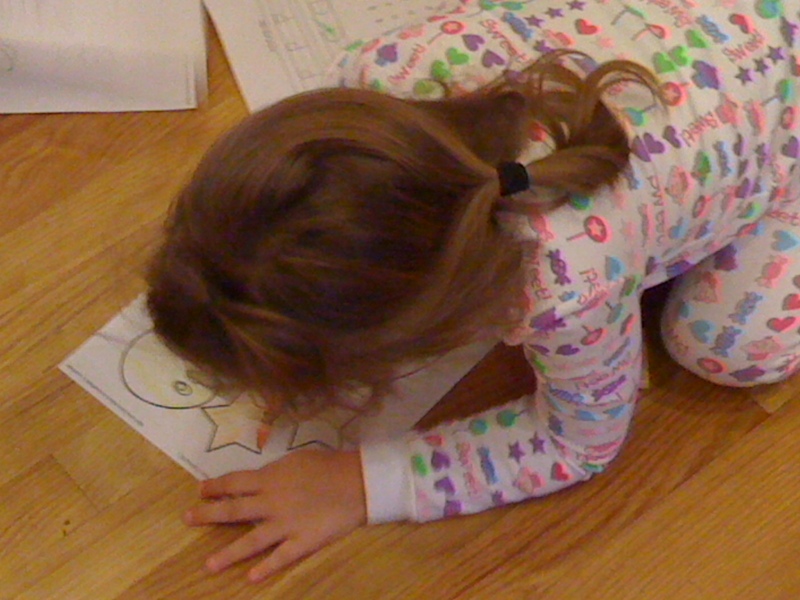 Coloring pictures of ducks. 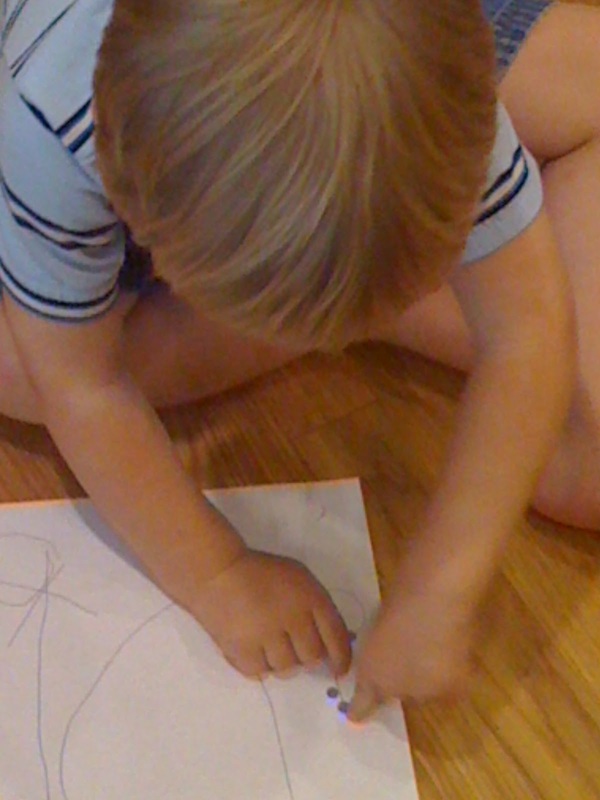 Coloring and cutting out a duck craft. If you haven't seen it yet, www.confessionsofahomeschooler.blogspot.com , has an awesome letter of the week curriculum that she offers for free. It's filled with math and literacy games for each letter.